KRASNODAR — Sergei Galitsky, founder of the country's leading food retailer Magnit, would like investors to value his 15-year-old business as a mature company. Yet he still wants to open three new stores every day and forecasts that sales growth at Magnit will only slow slightly next year to 25 percent from close to 30 percent this year. From a single store in his home city of Krasnodar, the 46-year-old has built an empire of 7,500 stores that turned over $14 billion last year, having outflanked rivals by targeting the provinces of the world's largest nation by area. Magnit, whose red and white italicized logo has become a common sight in provincial towns and cities, now expects to generate positive free cash flow for the first time next year. That puts it in a position to contemplate acquisitions after years of rapid expansion. "We have no growth mania. We need profitability. If we see that growth comes to the detriment [of margins], we won't grow. What is most important is to keep the company healthy and profitable," Galitsky said. 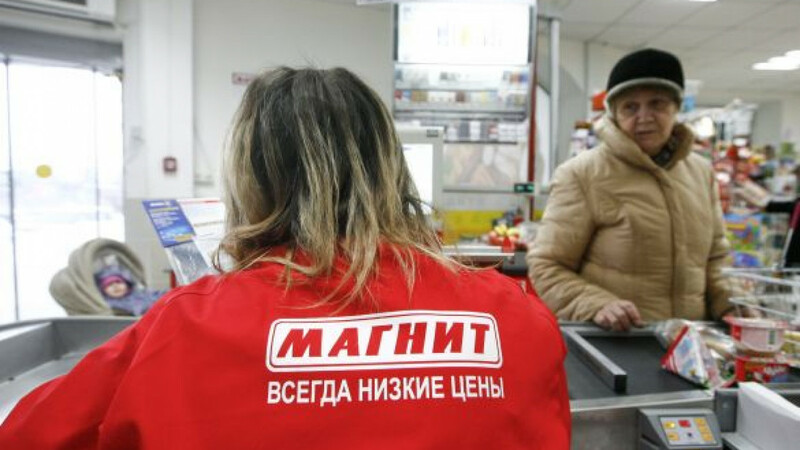 Magnit, whose "Always Low Prices" slogan helps pull in more than 10 million people a day to its stores, recently became the largest Russian food retailer by sales when it overtook struggling rival X5. It has kept prices competitive and defended margins by exploiting economies of scale and keeping a firm grip on costs. "We will keep growing but no longer so [fast]. We will surprise investors but no longer so [much]. 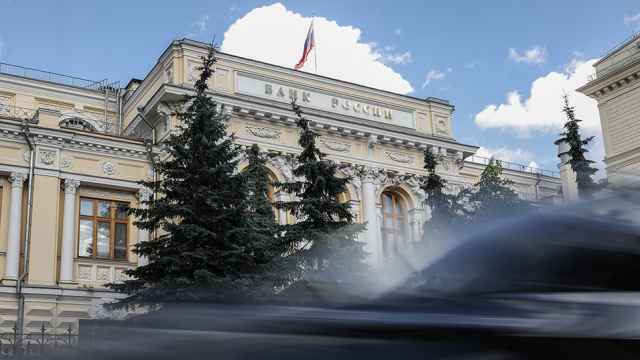 It's already very hard to perform such exploits with our scale," Galitsky said this week at his headquarters, 1,300 km (800 miles) south of Moscow, in a grain-producing region on the Black Sea coast. Leaning on a big oval table in his modestly furnished office, the tall, lean Galitsky struck a more reserved tone than in the past. "We want to be a secure investment, a little bit like a bond," he said. Magnit recently raised its dividend payout ratio, returning shareholders 30 percent of its first-half net profit, up from 19 percent a year ago. 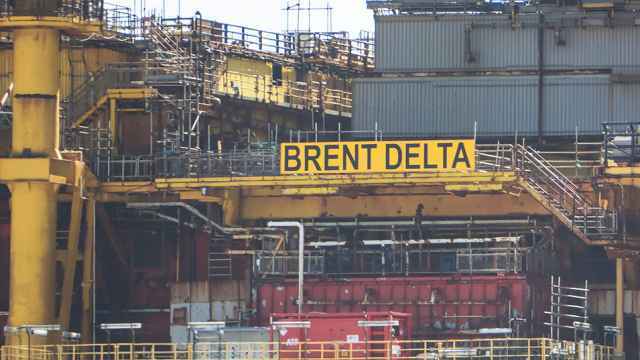 The payout will keep free cash flow negative this year, but Galitsky said that should turn positive in 2014 despite plans to invest another $1.8 to $2 billion in expansion. "We believe that the market still allows us to invest so much. When the market stops allowing it, we will invent something new, we have ideas, or will distribute [profits] in dividends, investors will be hardly upset," he said. Magnit's London-listed stock has risen by 133 percent since it floated in 2006 at $27 (860.83 rubles), putting a valuation on the business of $30 billion. Investors impressed by the growth story have put a large valuation premium on Magnit. Galitsky sought to cool some of that enthusiasm, yet he stressed that low- to middle-income shoppers would continue to buy essentials at his stores even as Russia's $2 trillion economy hits a soft patch. Magnit is valued at an estimated 2013 enterprise value to EBITDA multiple of 18.5 times, Credit Suisse estimates. Enterprise value is the combined value of equity and debt, effectively the cost of acquiring a company. EBITDA, earnings before interest, taxation, depreciation and amortization, measures the capacity to cover the cost of its equity and debt. Among its competitors, X5 trades on an EV/EBITDA ratio of 7 times, Dixy at 6.5 times and O'Key at 10.8 times. Magnit is pricier too than other emerging market peers in South Africa and is valued 66 percent more dearly than Turkey's Migros. Galitsky puts Magnit's rich share price down to exaggerated expectations of continued rapid growth among some investors, setbacks at its rivals and a lack of quality stocks on the Russian market. "Investors would be happy if they did not have to pay high, but they probably just don't have much choice," he said. "And we've proved … that we are a safe stock." Magnit will this year meet the top end of its 27 to 30 percent sales growth forecast and is on track to open 1,100 convenience stores and 60 hypermarkets, Galitsky said. Even with next year's slight slowdown in top-line growth, Galitsky still hopes to open more than 1,000 convenience stores and 350 cosmetics shops. Magnit has built a 6 percent share of the grocery market by grabbing business from stand-alone shops, outdoor markets and kiosks. But the market is getting more competitive. "I wake up every morning and have a pile of problems. We are in a war, all hell is let loose, we rush into battle and run. This is what matters to me. I don't need [other] motivation." Galitsky admitted that the company was open to acquisitions to help it keep growing in the maturing market. "If anyone finally considers selling at a fair price — we will immediately buy," he said. "All chains are interesting for us, but it is always a question of price." Galitsky owns 42 percent of Magnit, which employs 200,000 workers, has 18 distribution centers and runs a fleet of 5,000 trucks. Together with the management he controls about 50 percent, a level he calls a "safety indicator" for investors. As long as he has enough money to finance his own projects such as the construction of a stadium for top-flight soccer club FC Krasnodar, Galitsky has no plans to sell down his shares. "I will try to avoid it. I want to control the company but I don't know how life goes," he said. "We are already a big company, and the larger our capitalization is, the lower goes the threshold for control." But losing his grip on operational management now, "in the middle of the path," would be destructive, said Galitsky, whose Magnit stake is worth nearly $13 billion. "Ordinary people think: 'Why? He earned his breakfast long ago'," he said. "But it does not work like that. This is my life."